We promote equal opportunities for people with visual impairment and other disabilities. With a rights-based approach, we work to create a world where all people can access health, education and employment, and participate equally in society without fear of stigma or discrimination. A girl writing on a blackboard. 61 million children of primary school age out of school. It’s estimated that about one third of these children live with a disability. When children with disabilities are denied an education, they’re locked into a cycle of poverty and dependence. Woman in blue worksuit holding red wrench. The world’s economy is missing out on the vast potential contribution of people with disabilities. 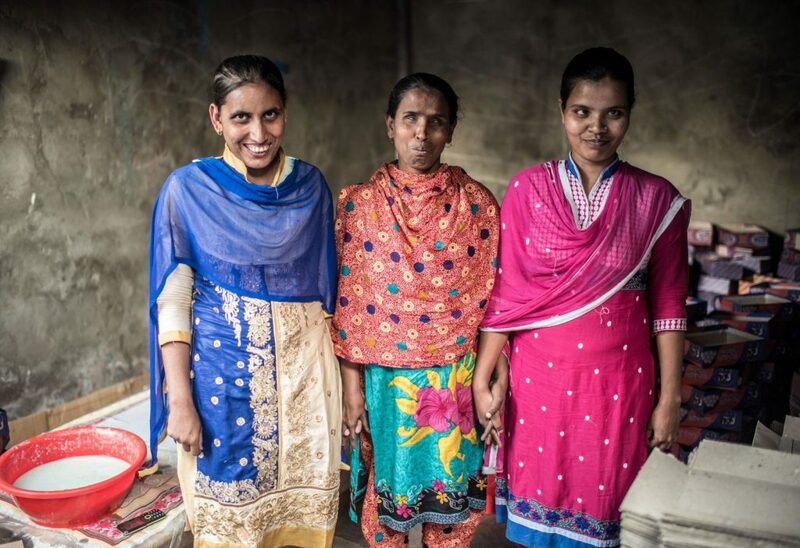 The chance for people with disabilities in developing countries to earn a living is limited by stigma, discrimination and a lack of accessible workplaces. For this to change, it’s vital for people with disabilities to be empowered and financially independent. A woman has her eyes examined at the screening camp in Bhopal, set up for survivors of the gas disaster. Everyone should have access to affordable, quality health services. 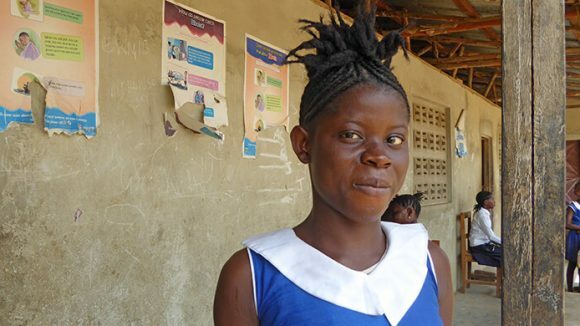 There’s growing evidence to suggest that people with visual impairments and other disabilities experience poorer health than their peers, often due to a lack of accessible health facilities and information, as well as stigma and discrimination. Smiling woman, who is a disability rights activist, wearing sunglasses and orange headscarf. People with disabilities should be able to participate in decision-making at all levels. In many countries, electoral systems aren’t inclusive. Because of this, people with disabilities are often excluded from participating equally. This document outlines Sightsavers’ strategic directions in education. It places our education work in context, identifies our goals, and highlights the approaches that will enable us to achieve them. Our eye health strategy provides a clear vision on how we will move forward in 2013-2018, where we’ll invest resources, and how we’ll work with stakeholders to achieve our objectives. The Education for All project will focus on girls with disabilities, who are often excluded because of prejudice or a lack of funding. 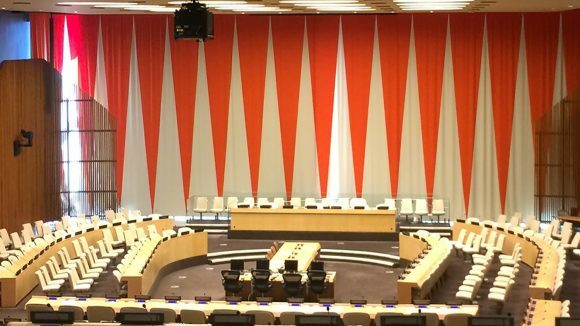 At the the UN’s High-Level Political Forum in New York, Sightsavers’ priority is to learn from other countries in implementing the Sustainable Development Goals. 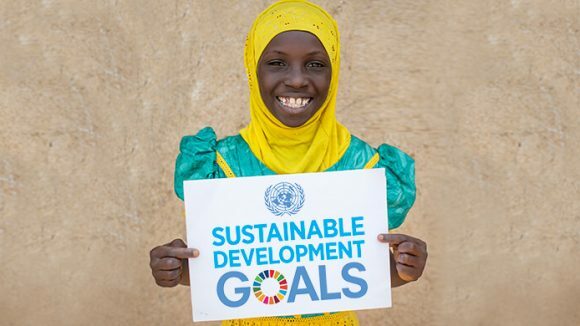 Sightsavers co-hosted and took part in a side event at the High-Level Political Forum on Sustainable Development held at the United Nations in New York.